Peridot is the birthstone for August. Its color can range anywhere from bright yellow-green to Olive-green. 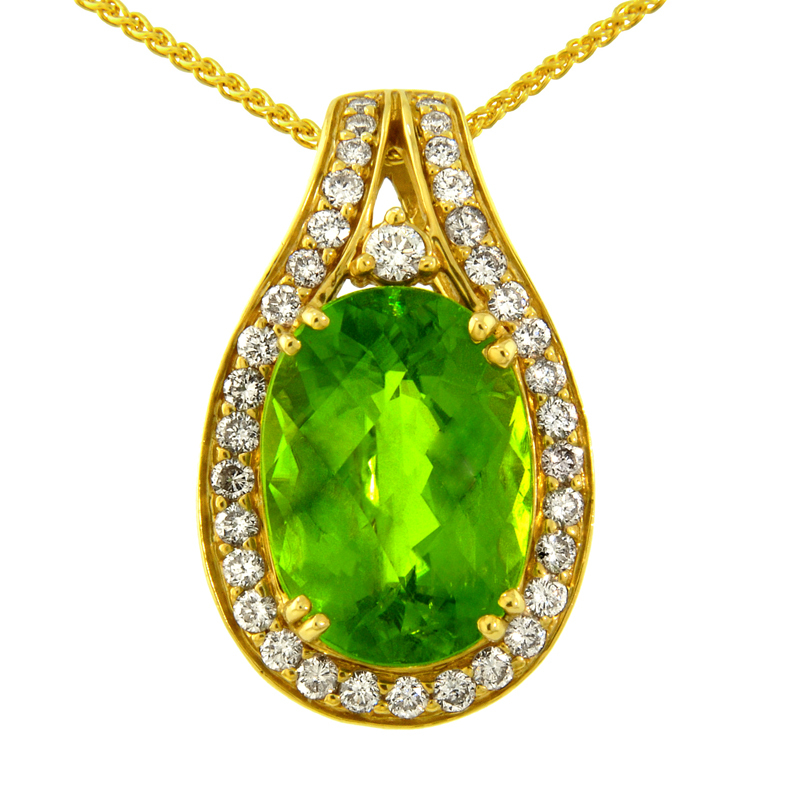 Peridot is known for often showing a double refraction in the facets of a cut stone. Peridot comes from the mineral, Olivine, which is found deep in the earth, in lava, or sometimes even in meteorites. Peridot is most commonly found in crystal form in hardened lava flows where magma brings it up from deep in the Earth's mantle. Some of the most common sources for Peridot are the United States, China, Vietnam, Finland, Myanmar, Zabargad, and Pakistan. 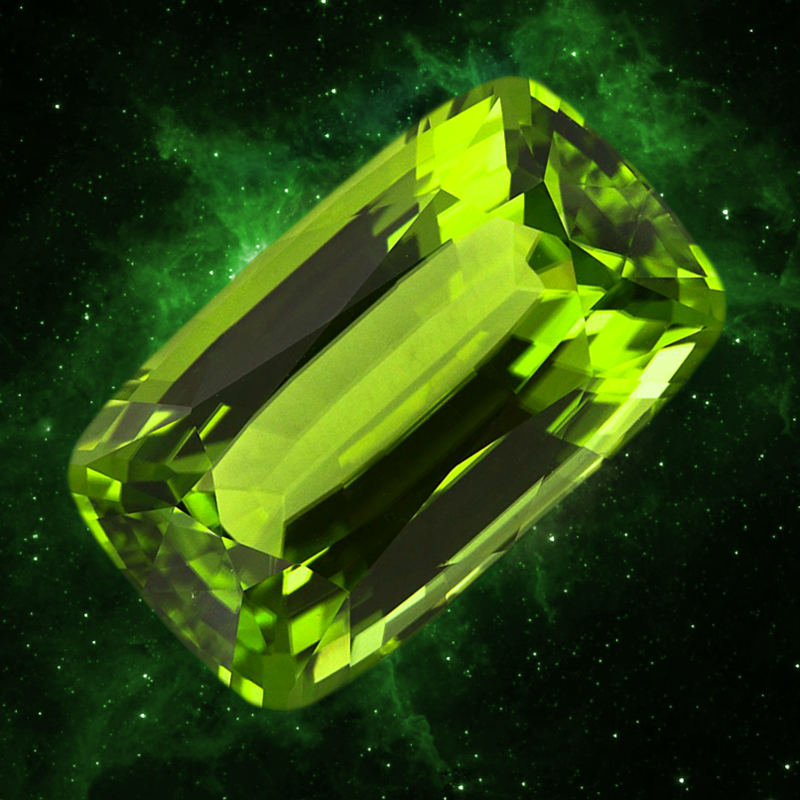 Peridot has been found in meteorites, and even in samples of stardust from space probes. Throughout history, Peridot has generally been associated with light, and believed by some to ward off evil spirits. Peridot was mined in ancient Egypt, where it was referred to as “the gem of the sun”. Some historians believe that Cleopatra's famous collection of emeralds may have in fact been made up of Peridot. In ancient times, Peridot was often confused with emerald. The gallery at The Gem Collection in Tallahassee showcases Peridot in many cuts, and sizes. 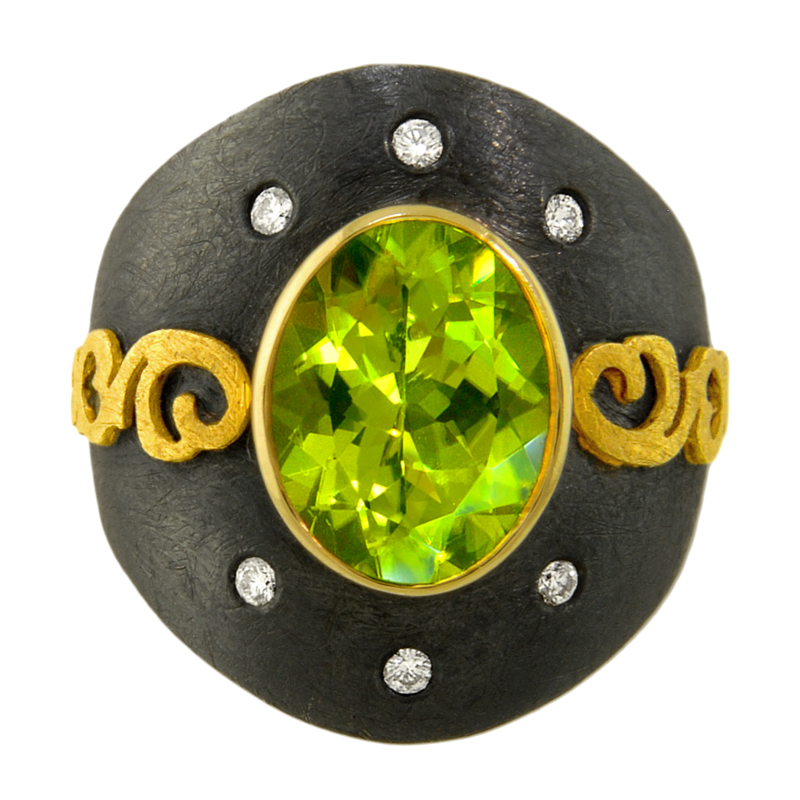 To view more Peridot jewelry available in Tallahassee, please visit our online Peridot Jewelry Gallery.